The picturesque seaside town of Swanage, Dorset will host the N1SCO European Championships over the weekend of the 10th and 11th June 2017. N1SCO is the largest Stand-up Paddleboard racing class in the UK and is one design in nature. This means all of the competitors must compete on an identical board of the same design. 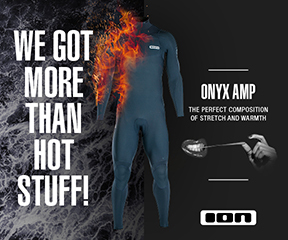 This keeps the racing both fair and affordable to everyone with the end result purely being a product of the paddler’s skill and ability. 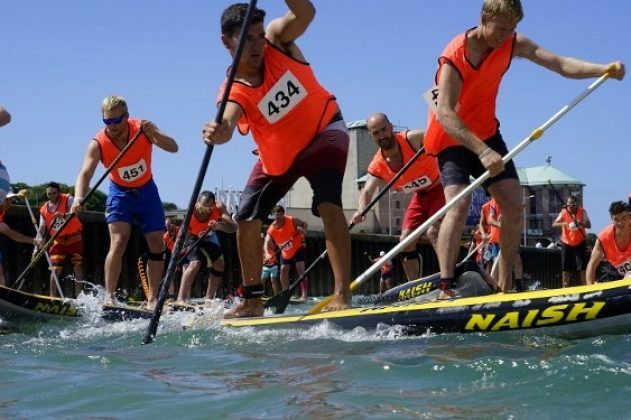 Paddlers race on an inflatable ‘Naish One’ paddleboard that actually packs down into a rucksack thereby allowing competitors to travel easily to events around the world. The boards are easy to use and hard wearing. Close racing is guaranteed with both newcomers to the sport and top paddlers taking part from many countries around the World. Around 150 competitors are expected with teams likely from Switzerland, Italy, France, Holland, Germany and even as far afield as Japan and Australia where last year’s World Championships were held. Racing is not restricted to those owning the right equipment as entry to the event also comes with an option to hire a board and paddle for the weekend. Alex Tobutt from Naish in the UK comments ‘We are chuffed to bring the European Championships to the UK. N1SCO has gone from strength to strength in the last couple of years. Stand Up Paddle Boarding is the fastest growing water sport in the World so to showcase this in the UK is fantastic’. Swanage in Dorset has been chosen for the event venue with its sheltered waters, golden sands and characterful town centre. When asked about the venue Alex commented ‘Swanage bay is fantastic, sheltered, safe and with a beach that paddlers and their family can enjoy. It really is a postcard spot that has everything we need to run the championships whilst families can also enjoy a weekend on the coast’. Racing will take part from outside the View Restaurant and Mowlem Theatre right in the town centre so spectators will be able to line the esplanade to enjoy a grandstand view of racing that will be happening mere metres away. Competitors will take part in three races, all of which are different lengths including 100m sprints, a 500m and a 10km race along to sweeping beach. Caroline Finch, Chairman of Swanage Town Council Tourism Committee comments “Swanage Bay is a fantastic venue for the Paddleboard European Championship. We can’t wait to welcome competitors from far and wide for this exciting new event to our lovely town. We are delighted to host this event for 2017 ”. The event hopes to attract many new paddlers within a fleet that has gained a reputation for being friendly and welcoming. At last year’s Inland Championships, three visitors were offered a lesson from a paddler on the river bank who was preparing for racing the next day. Having enjoyed their lesson with pro paddler Jo Hamilton-Vale so much, they decided to compete in the Championships themselves the very next day. As an open Championships, anyone will be made very welcome.